Hallmark, Crayola and Crown Media employees around the world are active and vital members of their communities. This has translated into successful partnerships with nonprofit organizations that support children and families, the arts and culture, and civic institutions. 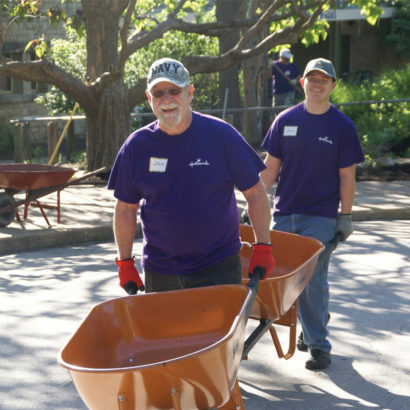 Hallmark’s community involvement centers around three main pillars – financial donations, product donations and employee volunteer services. Employees in each of Hallmark’s businesses donate time and money everywhere the company has facilities, both domestically and internationally, including offices in the Unites States, Canada, Mexico, Asia Pacific and Europe. Below are recent examples of how we make an impact in the communities in which we serve. Read Hallmark’s latest Caring in Action Social Responsibility Report to learn more about the impact Hallmark makes on the communities in which it operates. 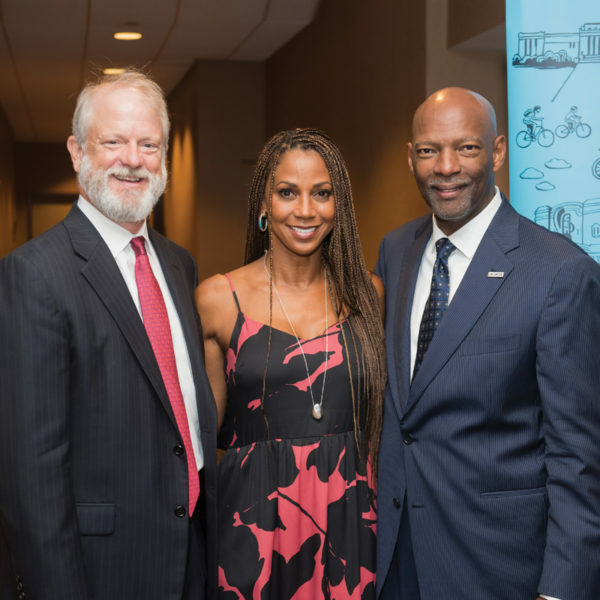 Providing United Way Leadership – Dave Hall, president, Hallmark (far left), Holly Robinson Peete, and Brent Stewart, president, United Way of Greater Kansas City, came together to kick off last year’s fundraising campaign, with Hall serving as the campaign’s co-chairman. Hallmark was the No. 1 giver to the United Way of Greater Kansas City with a donation of nearly $2.3 million and another $773,500 pledged from other Hallmark locations for their respective chapters. 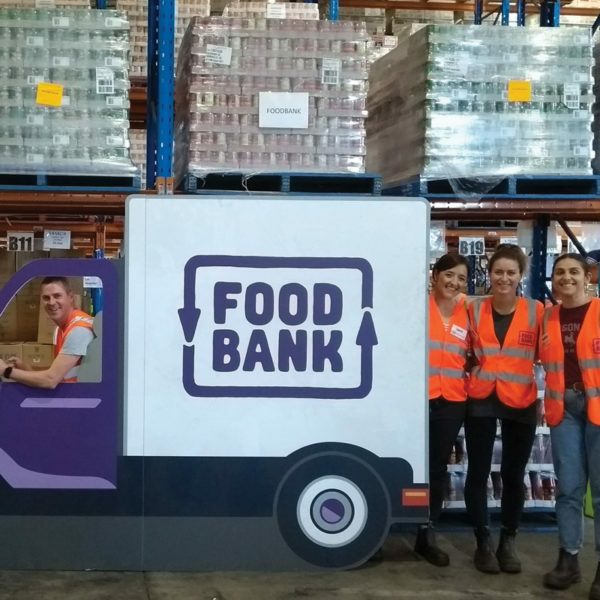 Packing Food to Feed the Hungry in Australia – During their 2017 volunteer day, Hallmark employees in Australia packed 12,370 pounds of food on pallets and 3,300 pounds of mixed groceries for 14 social service agencies. This will help to feed more than 10,000 meals to those in need. Hosting Champions in its Hometown – Hallmark and its Crown Center business served as local presenting sponsors of the 2017 U.S. Figure Skating Championships. 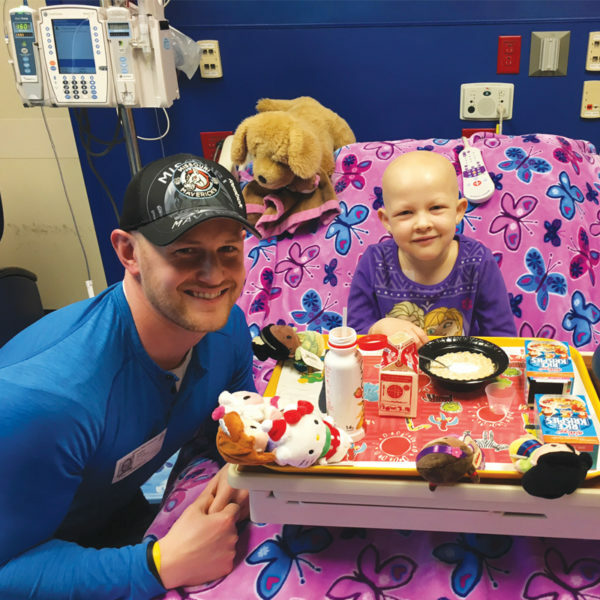 With this partnership, Hallmark teamed with two-time U.S. National Champion skater John Coughlin to distribute itty bittys® at Children’s Mercy Hospital. 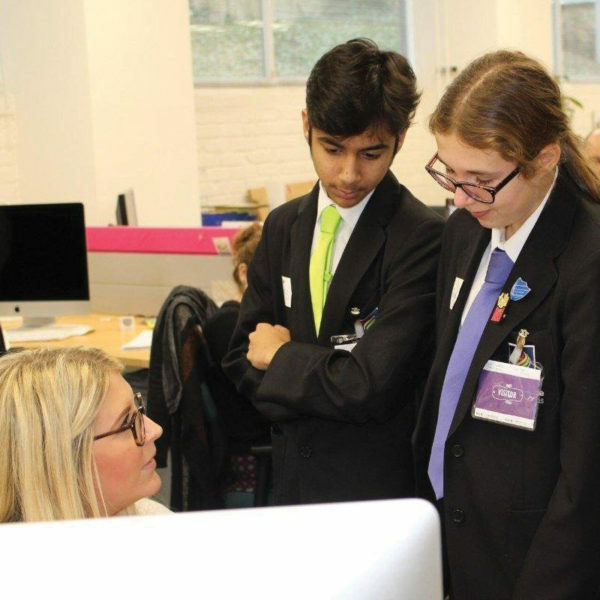 Enabling Arts Education in the UK – Students at Leeds Co-op Academy visiting the offices of Hallmark UK where they learned how to construct creative briefs, in addition to learning about creative careers. Engaging Consumers Through Worthy Causes – 2017 marked the 10th year Hallmark’s Greetings business partnered with UNICEF, helping to generate more than $23 million during this time. 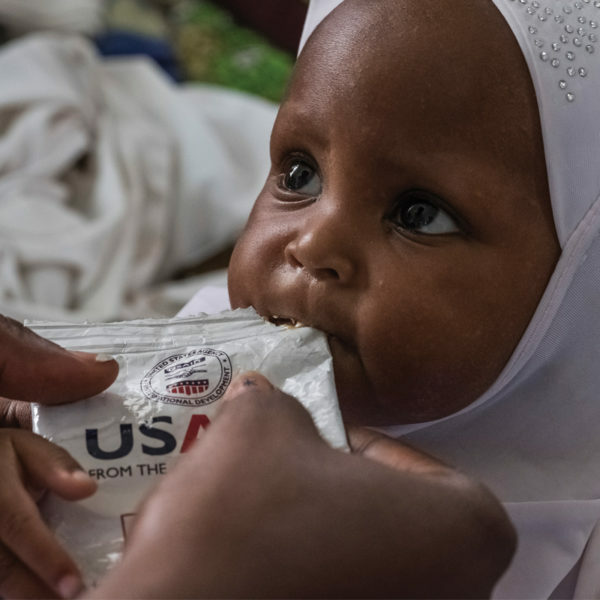 That amount can provide UNICEF with either 75 million doses of measles vaccines, five million mosquito nets to protect from malaria or 100,000 school-in-a-box kits to help 3.5 million children.